Stein is a world champion of the yo-yo—and he didn’t get that honor with the musty old moves like round-the-world or walking the dog. His routines are a carefully choreographed flow of tricks and set to music. But yo-yo’s aren’t what they used to be either. Today’s yo-yo’s are mostly butterfly shaped to better catch the string and spin for minutes on a single throw, thanks to smooth spinning ball-bearings instead of a wooden or plastic axle. Most are controlled by synthetic strings instead of the cotton of yore. Stein has even helped develop his own signature models; the beginner’s “Replay” and the advanced player’s “Shutter.” Think of them as the Air Jordans of the yo-yo world. 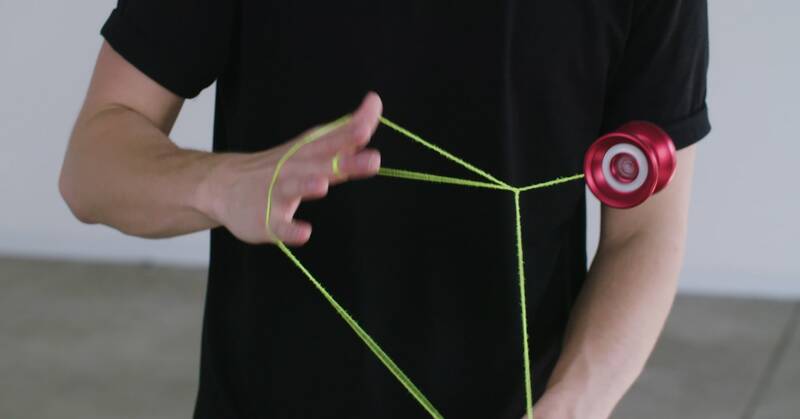 In a split second, Stein can flip his yo-yo into a sleeper spin then weave a cat’s cradle of string between his hands. The yo-yo is soon hopping between portions of the string, then flipped back out, and spun around his back, constantly pinging across his string with the precision and speed usually associated with assembly line robots. As a kid growing up in Chico, California, Stein felt a bit torn by his twin interests in art and sports. Yo-yoing bridged the gap between those pursuits and, thanks to lessons at the National Yo-Yo Museum in his hometown, he was soon off and spinning. To stay competitive he puts in hours of practice every day. Thankfully, yo-yo’s are portable and convenient. “It’s something you can do all the time whether you’re waiting in line at the movie theater or, like, waiting for a table at going out to dinner. And you can carry it around in your pocket,” he says. Today Stein travels the world competing, appearing on TV shows, and putting on demonstrations and lessons. Watch the video above to see how his mesmerizing flow of moves are constructed from the building blocks of yo-yo tricks; mounts, slacks, and hops. Want to go deeper? Check out his detailed tutorials on his YouTube Channel.